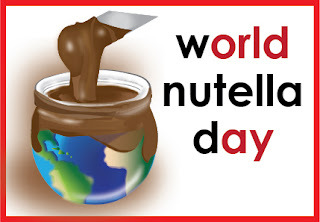 Celebrating World Nutella Day Sara from Ms. Adventures in Italy and Michelle from Bleeding Espresso solemnly declare Saturday, February 5th “World Nutella Day 2013″ – a day to celebrate, to get creative with, and most importantly, to EAT Nutella !!! One of my favorite candies is Mallo Cups, so this is a treat for me since it has a similar flavor inside! Here is an easy fix for that craving! Preheat oven to 350 degrees F. Cut each square of pastry into 4 equal size pieces. Spread two tablespoons of Nutella spread onto the center of each pastry leaving 1/2 inch border around edges. Top each with about 12 mini marshmallows, sprinkle with toasted coconut and fold over to form a little triangle. Close edges with a fork. Bake for 22-25 minutes or until pastry just turns golden. Remove and let cool for 5 minutes. Use a confectionary sugar and water glaze for the top, sprinkle with grated chocolate or mini chocolate chips. 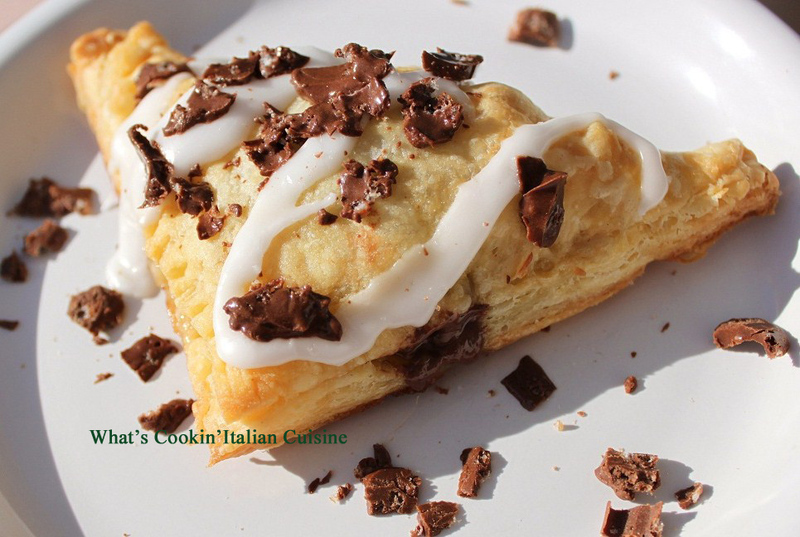 Hi Claudia, this nutella turnovers look so awesome. Love your great combination. I always love puff pastry. Sorry Lately I'm late in commenting cos busy with work and getting ready for our Chinese New Year this coming weekend 10th. This looks delicious. I will try. Darn! I always, ALWAYS miss this sweet day. This is just a sweetheart of a recipe, Claudia - easy, delicious and pure happiness for a winter's day. Excellent! Did you see the pingback for your nutella brownies? I made some the other week. What a hit! Everytime I see Nutella I think of the wonderful things you've made with it. P.S. My daughter-in-law would love all those yummy links. She loves Nutella, as do I, but I rarely buy it for the very same reason. I cannot be trusted with a jar of Nutella in the house. These look decadent. I have some puff pastry in the freezer....hmmmnn.